In research carried out at Myerscough College MEGASTART Dry Cow has been proven to increase colostrum yield by 35%. 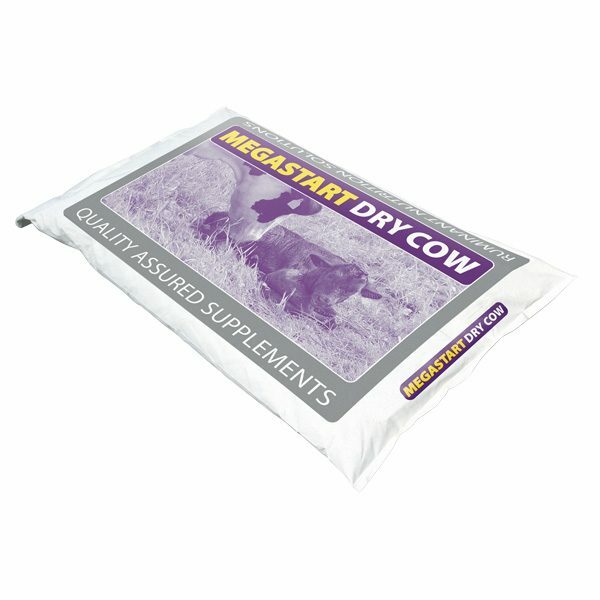 Megastart Dry Cow mineral is designed to be fed to the pregnant cow in the final 4 weeks of gestation. Combining high vitamin E and selenium as well as the inclusion of a high quality MOS, Megastart Dry Cow Mineral promotes a healthy immune system and is designed to offer improved colostrum quality and quantity. Megastart Dry Cow Mineral should be fed at 150-200g/head/day for a cost of around 15p/day. A relatively low cost for one of the best dry cow minerals on the market. Can be fed as part of a pre-calving ration, mixed with cereals, incorporated in a TMR system or simply top dressed.